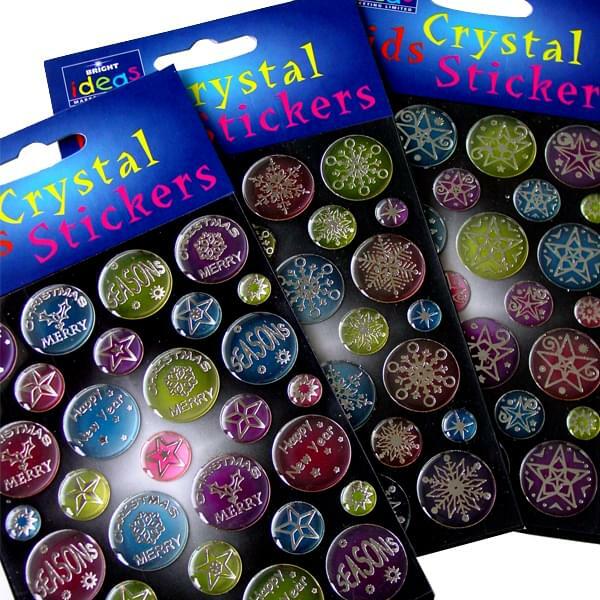 Get into the Christmas spirit with these fabulous raised crystal stickers in a range of designs. They’re perfect for children – stick them to your books or folders to add some personality! 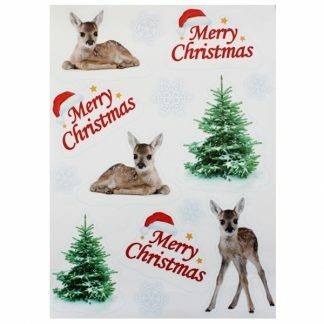 These 3D stickers will add a sublime sparkling finish to any Christmas projects, set the scene for festivities whether you’re creating Christmas cards, decorations, scrapbooking or gift wrapping. You are limited by your imagination only! 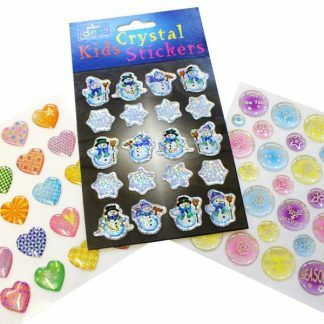 Our crystal stickers have an adhesive backing for easy application when creating borders, centrepieces, backgrounds and much more! 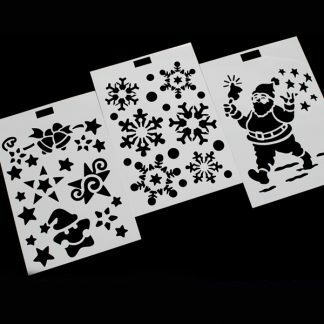 Kids will love letting their creative juices flow while they create their very own Christmas masterpieces! 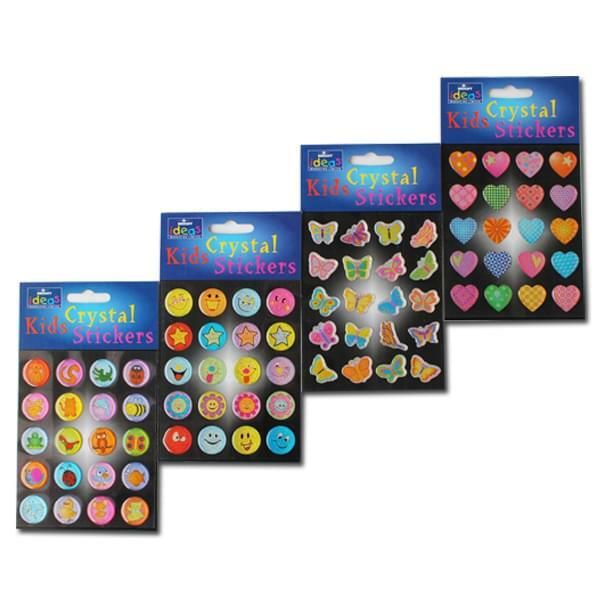 Select your preferred option using the drop down list above to see images and pricing. 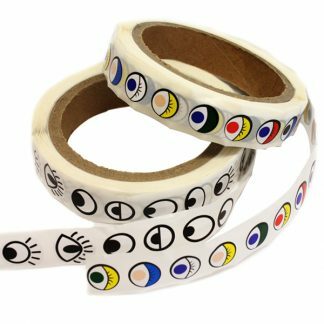 All of our products are supplied in retail-ready packaging which contains barcodes.